I love the feel of new sheets on my bed. I always sleep so much better. That's why I want to tell you about these sheets. 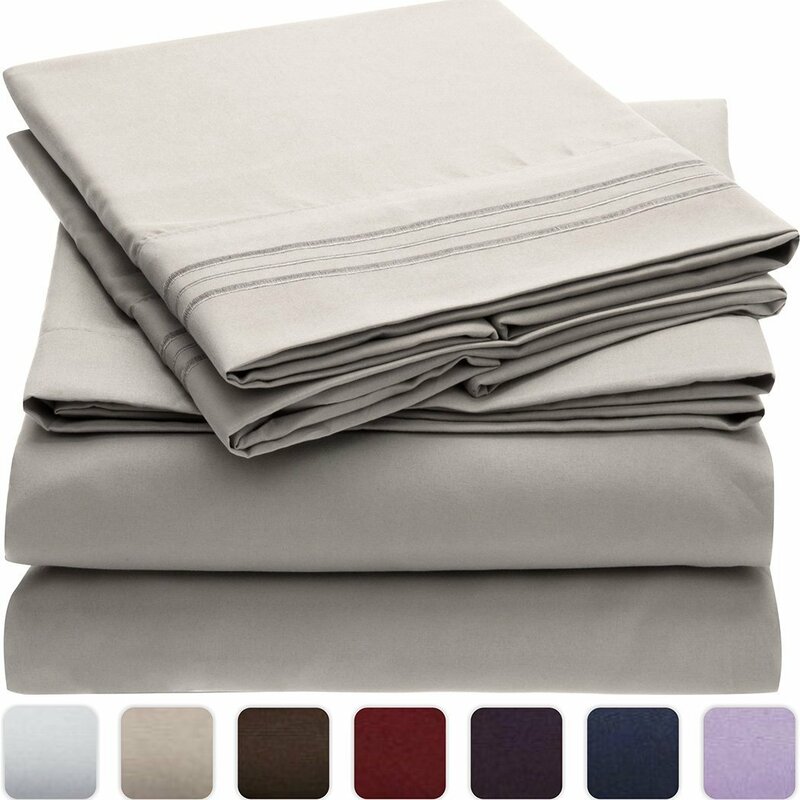 Mellanni Light Gray Bed Sheet Set feel so soft and new wash after wash. They are made of brushed microfiber, so they are hypoallergenic and dust mite resistant, fade resistant, wrinkle resistant, shrink resistant. Machine wash on cold and tumble dry on low. I really like that the fitted sheet has elastic all the way around instead of just at the corners. This provides for a better fit. This is a 4 piece set that includes 1 fitted sheet, 1 flat sheet and 2 pillow cases. These sheets by Mellanni come in an array of colors and sizes ranging from twin to California King. They are very competatively priced so you can afford to have them in every bedroom in your house.